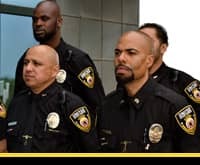 You are in the right place for security guard jobs. Welcome to your security employment opportunity! Filling out this form you are aligning yourself with one of the top security companies in Los Angeles. Our management team leads by example. Our security consultants work hard to keep assignment opportunities bountiful. Our Security Training programs keep our guards prepped and ready for their assignments. We have a screening process that has been developed through our experience that assures placement in the right assignment. It is important to note that United Security Service invests in our security guards as much and more that the commitment our security guards invest in their security jobs. Please fill out this form in detail to provide us the information we need to get you started. We accept online applications only. Do you have a valid state issued drivers license? Do you have a vehicle? Do you have any of the following permits/licenses? What skills or additional training do you have that are related to the job for which you are applying? Have a resume? Please upload it here. Accepted file types: pdf, docx, jpg, png. I certify that the facts contained in this application are true and correct to the best of my knowledge and understand that, if employed, falsified statements on this application shall be grounds for dismissal. I authorize investigation of all statements contained herein and the reference and employers listed above to give you any and all information concerning my previous employment, and release the company from all liability for any damages that may result from utilization of such information. There are some key characteristics we look for in a guard to assure our clients get the best valued services. We have programs in place to motivate our guards by rewarding them for their service record. From an employee of the month program to opportunities for promotion, we incentivize our guards to benefit our clients by their performance. This environment of appreciating the work our guards do keeps them at their best at all times. This assures that each assignment gets high valued services. Our security guards prioritize their relationship with the client starting with good communication. They know courtesy and professionalism are part of their duty in representing themselves well and representing the client well. They are an extension of our client’s staff respecting their brand. Our guards are attentive and eager to help whenever they can. They are responsive and proactive, learning their assignment to anticipate issues and communicate suggestions or concerns the client may want to address. And our account managers and field supervisors look for feedback from the client to make sure that the level of customer service they are getting keeps with these principles. 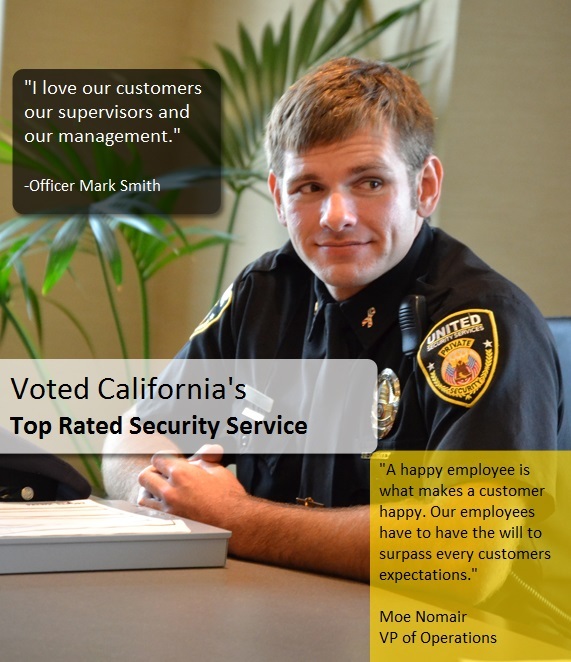 What do you need to know about security guard services in the US? Installing CCTV Security Systems-is it worth it? United services many industries the following is a short list of some of our customer's. We pride ourselves in understanding the needs of each customers industry. Costco, Hurley, Nike, Louis Vuitton, Robin Brothers Jewlers, Mcdonald's, Meritage Homes, Pacific West Development, EVGA, Estenson Logistics, DG Logistics, and much more. Contact us today to schedule a complete tour of our services in your industry. United Security operates 24 hours a day 7 days a week. Contact us today for an immediate response.